I’ve been taking my role as farmer very seriously. I’ve harvested a lot of maize the last few days that met my family’s approval. We roasted a few ears, and I’m boiling sweet corn for everyone today. I’ll be sharing butter, salt, and pepper too, so we eat the corn on the cob properly. I also slaughtered another rooster yesterday. My younger bhuti caught him quickly and with make’s new knife, slaughter was easy. 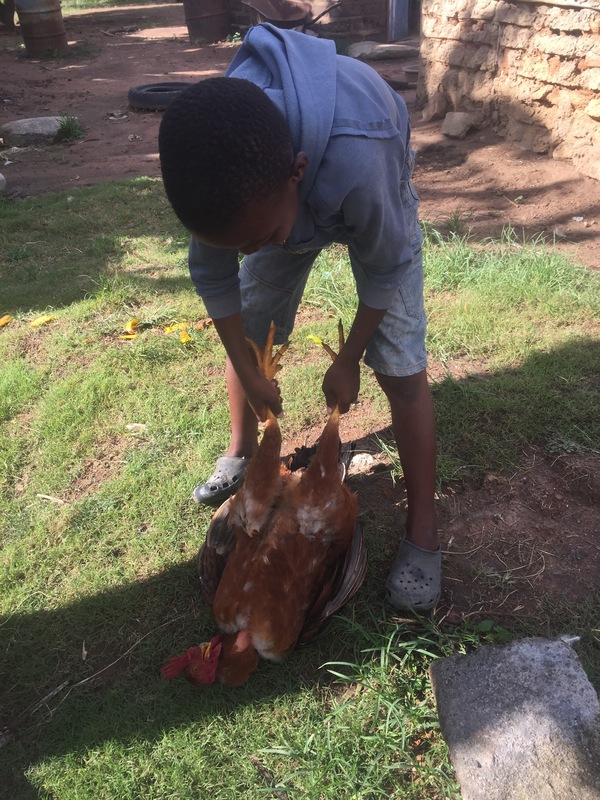 Another rooster is next in line because one of my older bobhuti was threatening to cook Sitfwatfwa. 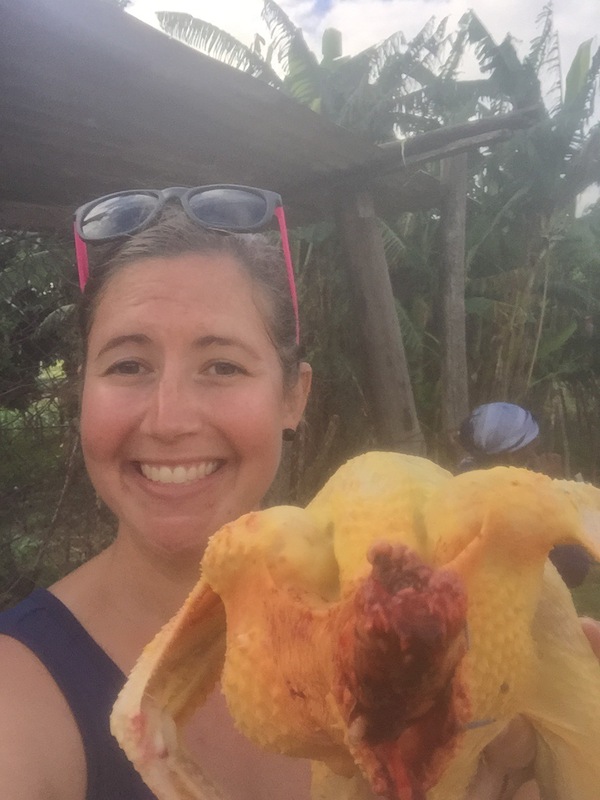 Selfie with the headless rooster. 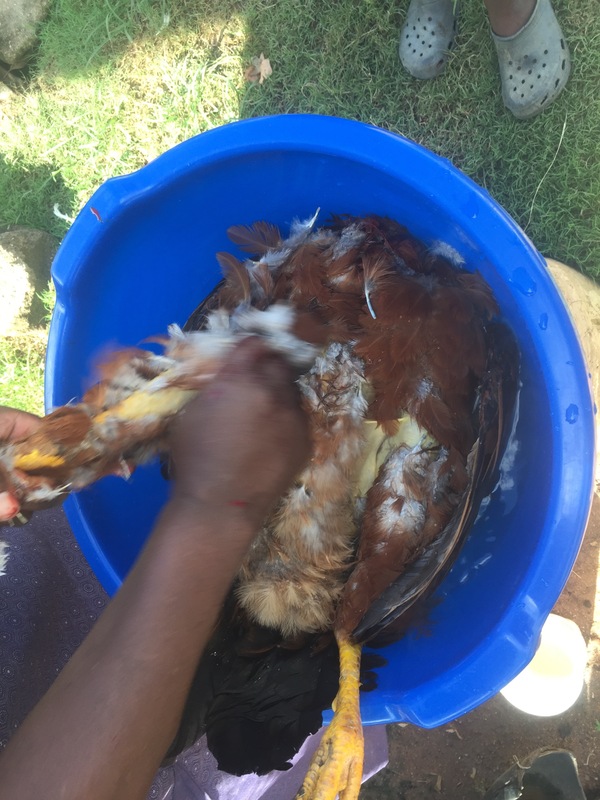 I’m taking the now frozen rooster to a party this weekend at another volunteer’s house who is hosting us for Buganu, the holiday celebrating the marula homebrew and other freshly harvested items. The Lutsango members, who are married women, are the main participants. They bring the food and beer to the queen mother and then dance for her. The emabutfo, the warriors, join in the singing and dancing. This entry was posted in Africa, Life, Peace Corps, Swaziland, Wednesday photo and tagged Africa, Chickens, Home grown, PCV, Peace Corps, peace corps swaziland, Peace Corps Volunteer, Swaziland. Bookmark the permalink.